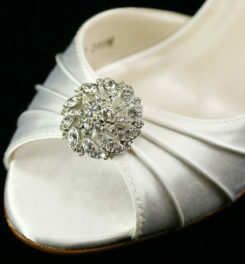 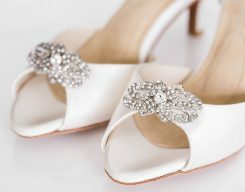 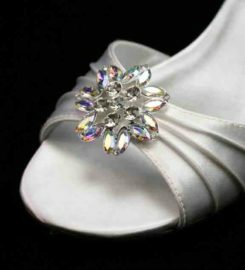 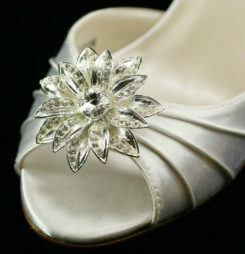 The Sandy’s U Silver shoe clip is a beautiful, unique shoe clip. 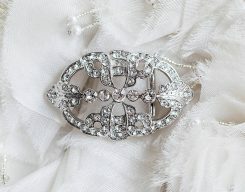 It has round rhinestones set to form an overall oval shape. 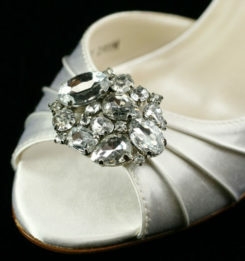 This shoe clip is very 3 dimensional, with the center stones being the highest point. 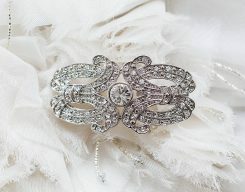 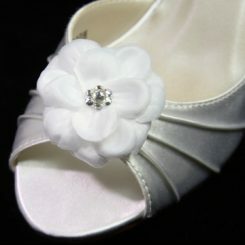 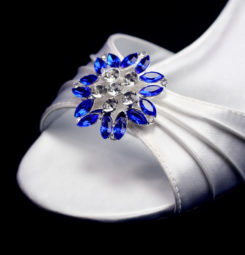 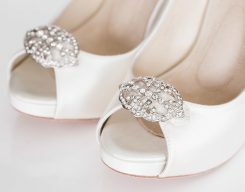 This shoe clip is stunning and will make any shoe look like a high end style. 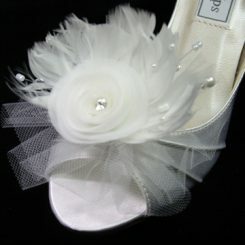 THIS ITEM IS FINAL SALE AND MAY TAKE UP TO TEN DAYS TO SHIP.